There's a new face at the Golf Channel, and we'll be seeing a lot of her: Lisa Cornwell has joined the golf network as an anchor on Golf Central. Cornwell has a very interesting past. She was an accomplished junior golfer, a four-time winner of the Arkansas Women's State Amateur. She played with Tiger Woods as a junior, and has played with President Bill Clinton for the duration of her career, earliest days to present time. That's because Lisa and the former President are cousins. 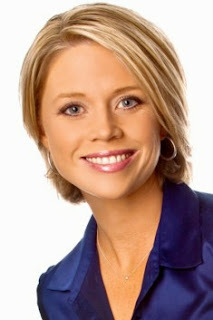 After starting a broadcast career in local news, Cornwell moved to sports as a studio host, reporter and play-by-play announcer for the Big Ten Network. Most recently, she had been hosting the syndicated SEC Press Pass, a show she founded in 2011. You can follow Lisa on Twiter: @LisaMCornwell.